HashFlare is a new Bitcoin cloud mining services operated by the HashCoins ASIC miner manufacturer. The main goal of the project is to make crypto currency mining accessible to all users regardless of age, location, investment, technical knowledge or experience. 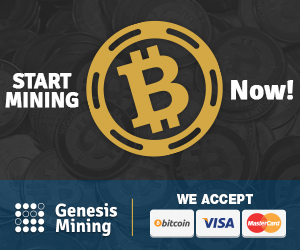 The service wants to offer a good opportunity to try out crypto currency mining and earn Bitcoin as a reward with a simple and easy way to get started and providing you with a good looking and user friendly interface that offers all the needed functionality and not requiring much technical knowledge or experience like if you use physical ASIC miner hardware. 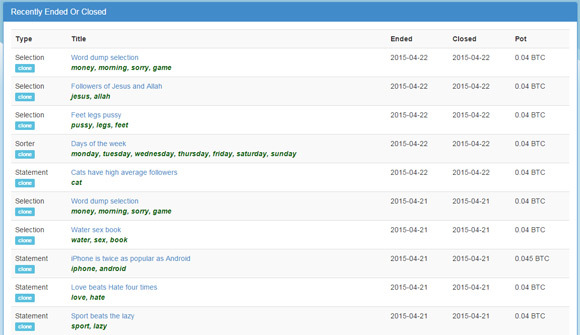 The service offers Scrypt Cloud Mining at $9.95 per 1 MHS with a daily maintenance fee of $0.01 USD per megahash. 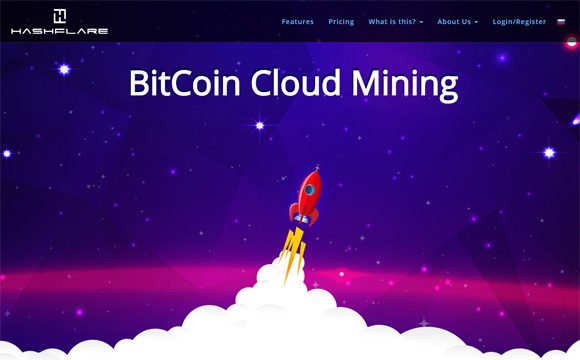 The Bitcoin cloud mining hashrate prices are $4.45 USD per 10 GHS with a daily maintenance fee of $0.01 USD per 10 GHS. 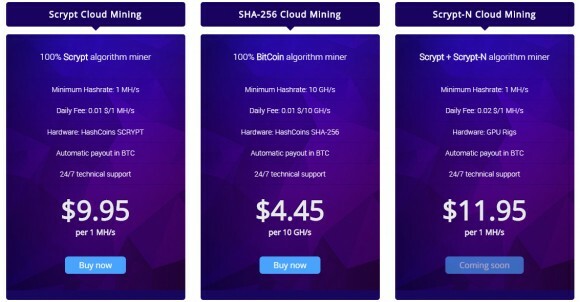 There are also apparently plans to introduce Scrypt-N cloud mining in the near future, but for the moment the only useable hashrate that you can purchase from HashFlare is SHA-256 for mining Bitcoins (BTC) or Scrypt for mining Litecoins (LTC). If you want to try the HashFlare service you might want to use the following promotional code HF1504D15AA giving you 15% discount to get a head start and ensure faster ROI time. 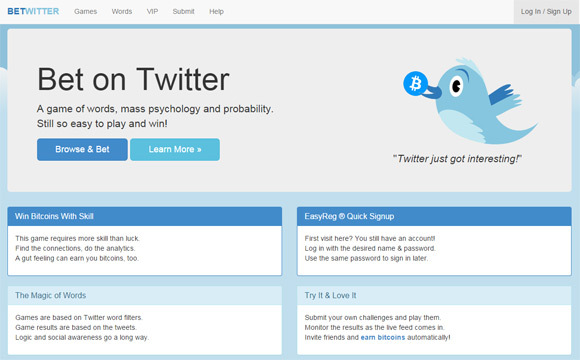 Bet on Twitter (Betwitter) is being described as a game of words, mass psychology and probability that allows you to win Bitcoins by betting on games directly related to tweets on Twitter. What Betwitter is doing is to count the number of tweets, tweeters, followers etc. 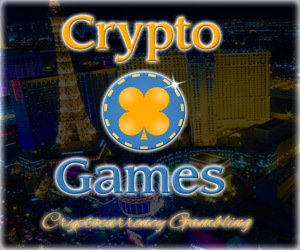 for specific words and bet on the outcome – there are different types of games and game targets. Here is an example: Imagine that for example the word ‘King’ is used more often than ‘Queen’ most of the time. If you simply submit a game with these two words competing against each other, most people will bet on ‘King’ seeing the statistics and they will win. You read in the news that the queen of England is about to visit Australia in a few days and it will likely cause people to tweet about it. By having this information, you have gained advantage and you are likely to win big, because you bet on the outcome with lower odds. The BitcoinXD Faucet is a Bitcoin faucet service that awards its visitors with a fixed amount of 250 satoshi on each claim and you can request a new one every 2 minutes. The faucet pays out directly to your Bitcoin wallet address, but in order to get paid you need to first collect at least 8000 satoshi. This should not be that hard considering you get 250 satoshi and you can request a new claim every 2 minutes, right? There is also an extra 50% bonus for inviting your friends to start using the service, and you get the bonus every time they claim from the faucet.